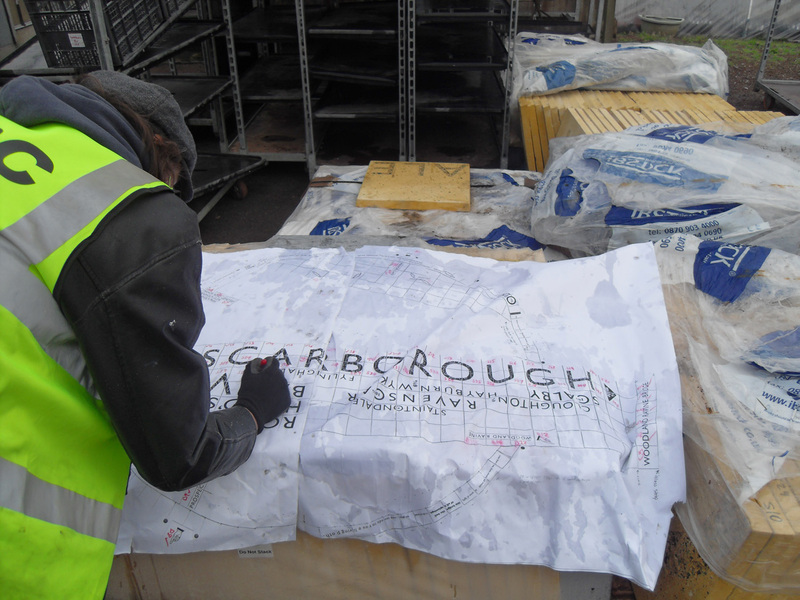 the paving slabs were delivered before christmas but with the bad weather this has been our first opportunity to take a look at the etched designs in the flesh and checking they’re all there. three of the etched slabs had got damaged in transit but the delay in installation has given us time to get replacements produced. 19 Jan This entry was written by admin, posted on January 19, 2010 at 6:01 pm, filed under Uncategorized. Bookmark the permalink. Follow any comments here with the RSS feed for this post. Both comments and trackbacks are currently closed.